Two properties we absolutely loved in Palm Springs are the Sparrows Lodge and the Holiday House. They’re under the same management and located just a short distance from each other, but both offer completely different experiences. 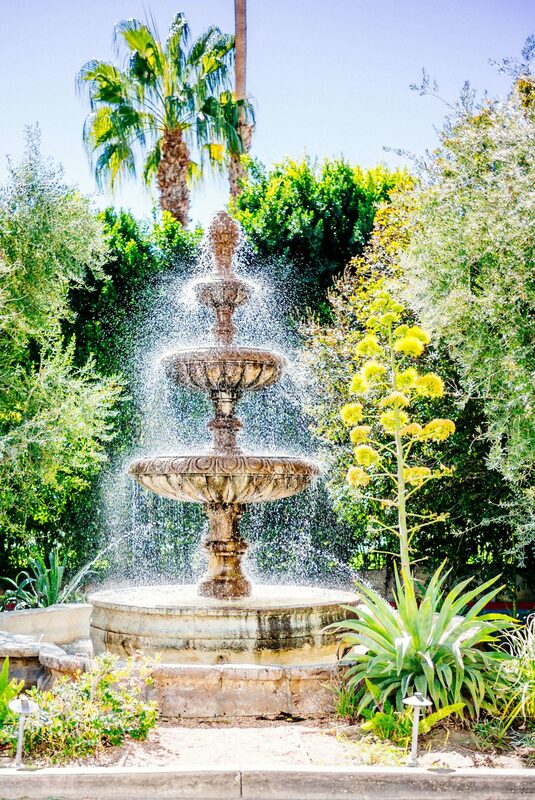 Sparrows Lodge, a renovated 1950’s hotel, offers a secluded garden retreat with a tranquil pool, about 10 minutes from downtown Palm Springs. A large communal table under a pergola covered with orange trees serves as the “restaurant.” We typically go out of our way to avoid communal seating at restaurants, but the seating areas at this lovely table are set far enough apart and divided enough (each seating area has a loveseat across from a pair of dining chairs) that it still feels relatively private. You can choose to chat with your neighbors, or not. The Sparrows Lodge has a limited liquor license, so all of their cocktails are wine-based. We love wine, so naturally, we loved the cocktails. We were really impressed with everything we tried, especially the margarita made with agave wine, Lillet, and citrus. The Sangria with blueberries was perfect for sipping on a hot day under the orange trees. We loved the simple, fresh lunch menu that Chef Gabriel Woo is offering and would definitely recommend a stop here for brunch or lunch (if you can get in for dinner, it’s supposed to be amazing, but reservations are extremely limited). 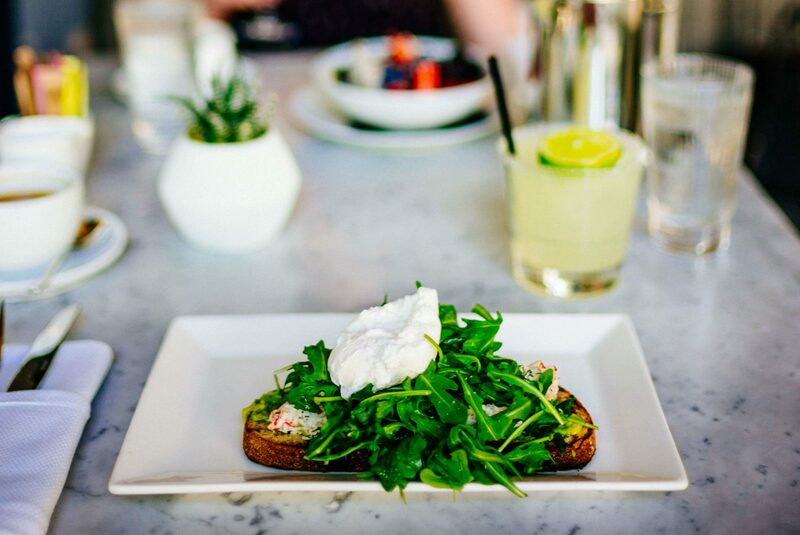 We tried their Cobb salad and chicken salad sandwich, and both were perfectly refreshing and completely appropriate for a lazy afternoon in the desert. A couple other things we love about this hidden gem: there is a family connection to Red Car Winery, so their Rosé (which we love) is always available, and Thomas Keller is an investor, which we think may also account for how great the food is. 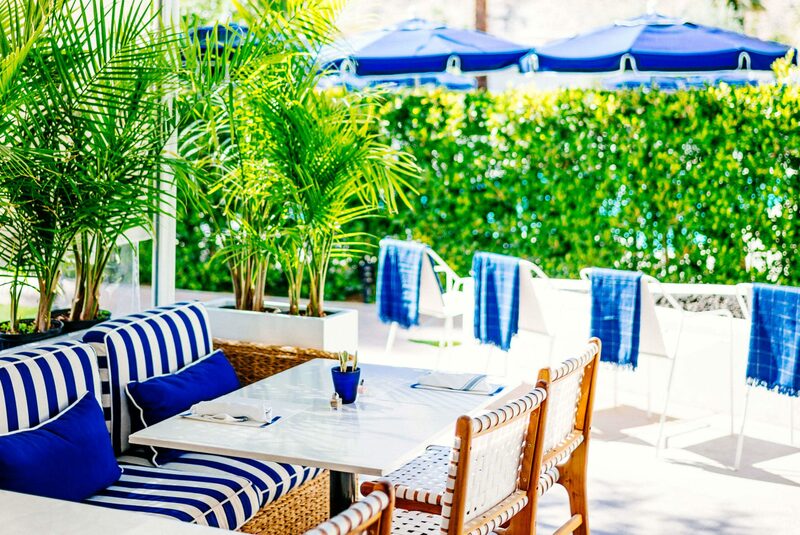 The property welcomes guests age 21 and over, and is definitely a contender for our next trip to Palm Springs.